You've probably read that laptop computer theft is on the rise. Protect your equipment, and even more importantly, your data. 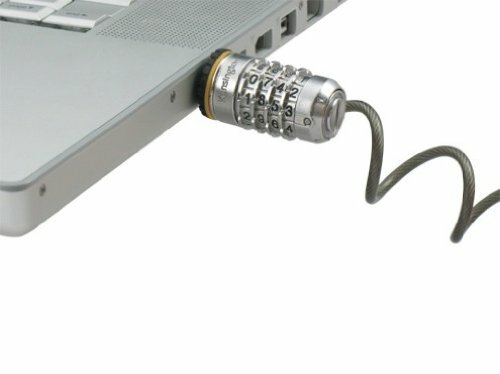 Safeguard your computer anytime, anywhere with the Kensington Combosaver Combination Portable Notebook Lock. This easy-to-use combination lock has a low-profile design and self-coiling cable for easy travel to keep notebooks securely anchored. And, best of all, Kensington provides for online registration that makes it easy for you to retrieve a lost combination. Fits into the Kensington security slot found in 99% of notebook computers. Kensington Lifetime Warranty.